In 2013, funded by the US Marine Turtle Conservation Fund (MTCF) ESO initiated the Sea Turtle Conservation and Sustainable Fishing Project on Masirah Island as a pilot project to understand the context of fishing on Masirah and the level of interaction between loggerhead turtles and fishing activities. This project was extremely important to determine whether bycatch is indeed the main threat to loggerheads on Masirah. Bycatch is known to be one of the major threats to sea turtles globally and has been documented as one of the most significant causes of mortality to turtles in Oman. 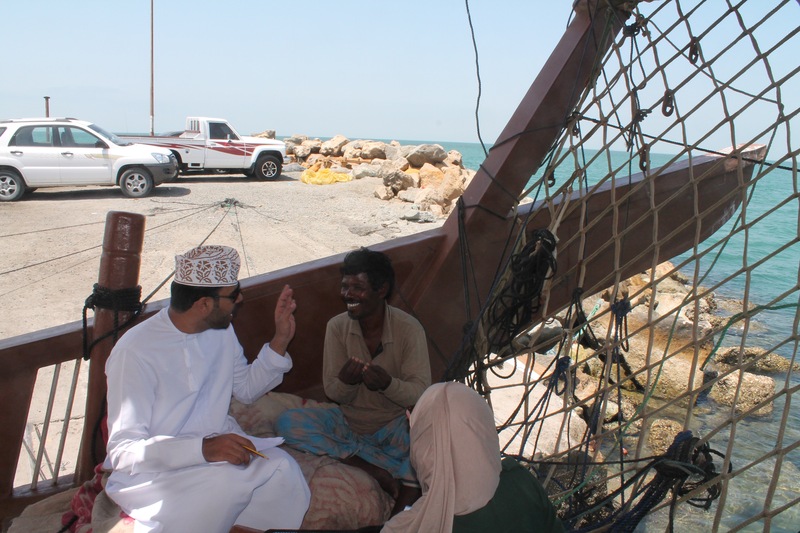 After extensive engagement with relevant academic, ministerial and local stakeholders, including the Wali of Masirah, and through questionnaires and interviews with the fishing community, 101 skiff and dhow fishermen were interviewed with the help of consultants and SQU interns. The estimated total turtle bycatch on Masirah Island by skiff fleet ranges between 3,141 - 9,742 turtles per year with 98% of this coming from nets. Of these driftnet is the most important, accounting for 35% of the estimated bycatch. Most of the interviewees reported that the turtles were released alive. The study further estimates the mortality rate for bycatch to be 4,918 turtles per year for skiffs and 238 turtles per year for the dhow fishery. Annual mortality of loggerheads is estimated to be 2000, which corresponds to 20% of the nesting female population. This suggests that fisheries bycatch may be a significant factor in accounting for the decline of loggerheads nesting at Masirah since 1980. It is important to note that there are potential uncertainties with the estimates due to the small sample size and that the estimates are based on interviews. The findings of this report were presented to members of the steering committee representing the Ministry of Environment and Climate Affairs, the Ministry of Agriculture and Fisheries Wealth and Sultan Qaboos University, with the aim of developing an action plan to advance the mitigation of threats to sea turtle populations on Masirah Island from both land and sea, taking on a community approach to conservation.